You are here: Home / Blog / school based occupational therapy / Do School Based Therapists Work Over the Summer? Do School Based Therapists Work Over the Summer? 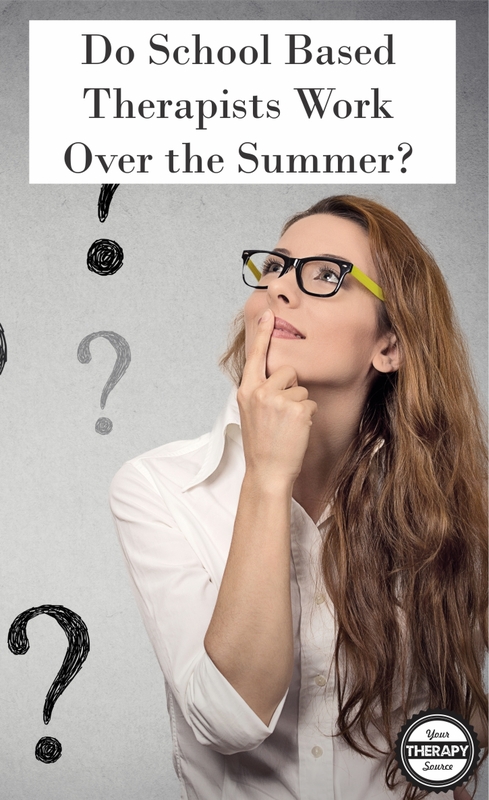 Many times school based therapists are asked if they work over the summer. For the past few months, the Your Therapy Source survey asked this question. One of the reasons was to determine a general idea of whether school based occupational or physical therapists work over the summer. Another reason was to find out if they work in schools or where else they may work over the summer. When you are done reading please answer the current survey. Question #1: What is your job title? Question #2- Do you work over the summer at your school or elsewhere? Question #3 – If yes and you work at your school, approximately what percentage of your caseload receives therapy for 12 months? Below are the short answers that survey participants provided. It is amazing the variety and skill set that everyone has. It is very impressive! My job includes early intervention as well as school based related services. Our EI program is year round. Still in Early intervention as the center based program is year round. I work for a BOCES Extended School Year program. School age children who require an educational program to prevent regression. I work in our office, creating programs, and inservices and at any of the schools as needed. Summer Program for regular ed children doing movement activities to supplement academic programs. I work a small amount out my school in the summer and primarily work in a rural hospital/nursing home/outpatient clinic. Charity in Cameroon Africa teaching about Sensory and motor play for a new school ministry for Autistic kids. Work in different schools and Infant and Toddlers. I co-coordinate an intensive needs summer program at our school. We have lots of fun. I have been doing this every summer for 7 years now. Other therapists can sub positions so IEP’s are met. Work in my current school district. Summer program runs for only 4 weeks. respite care in the summer, PRN at a SNF 2 hours from my home, and worked at a frozen yogurt place.